Depart Dar es Salaam flying to Ruaha National Park. On arrival your guide will pick you up and proceed for half game drive with picnic lunch box, later in the afternoon return toJongomero Camp(luxury lodge) orRuaha River Lodge(Above midrange lodge)or Ruaha Hilltop Lodge(Midrange lodge) for dinner and overnight. Early morning departure with bush breakfast and picnic lunch for a full day tour in the park. The whole day will be spent in the park viewing the amazing wildlife. Return to the JongomeroCamp(luxury lodge) orRuaha River Lodge(Above midrange lodge)or Ruaha Hilltop Lodge(Midrange lodge) for dinner and overnight. Early morning team or coffee then departure for walking safari in the bush with bush breakfast. You will then proceed for half day game drive with picnic lunch provided in the mid of the day. Later in the afternoon return to JongomeroCamp(luxury lodge) orRuaha River Lodge(Above midrange lodge) or Ruaha Hilltop Lodge(Midrange lodge) for evening rest and overnight. After morning breakfast en-route game drive to the airstrip for your scheduled departure to Dar es salaam. 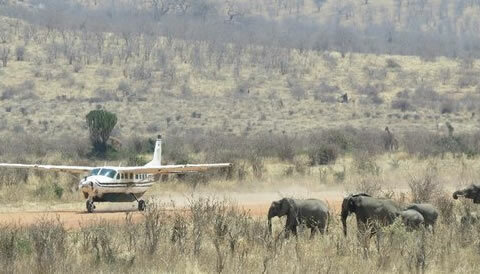 End of the 4 Days Fly in Ruaha National Park Safari.